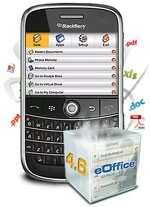 eOffice for BlackBerry, eOffice is a tool suite that includes document editing Microsoft Word, Excel and PDF. With eOffice, you can access your documents on your computer from your BlackBerry as well as use them as attachments when sending. Salesforce Mobile for BlackBerry, this application will be very necessary for the business employees to manage customer lists, contact your partner. Can sort contacts by account, opportunity and location. VR +: Voice Recorder for BlackBerry, one of the features that are rarely used by BlackBerry that was recorded, but not recording equipment dedicated but BlackBerry is the recording quality good with recording time unlimited . iSilo for BlackBerry, On the phone today there are many support programs create ebooks, however, their limitations is to have a separate application to create stories (on computer) and individual applications to read the story (on phone Voice). 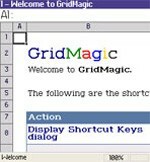 Vlingo for BlackBerry, Vlingo for BlackBerry allows users to speak with devices and other applications perform separate functions, including telephone, email or SMS, creating and saving a memo or task. 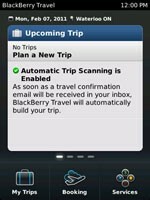 ..
BlackBerry Travel, BlackBerry Travel app helps you easily plan, book, manage and share your travel activities. Flixster for Blackberry, Flixster Movies is an app for Facebook's top movie, now available on the BlackBerry. 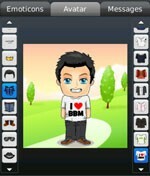 DailyHoroscope for Blackberry is an application DailyHoroscope horoscopes are updated daily on the BlackBerry. 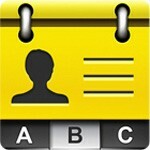 12 zodiac so that users can access to follow-up with a friendly interface and intuitive use. 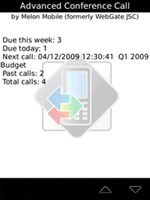 Caller ID Reader for Blackberry, Caller ID Reader is a reading application name & phone number of the caller in English ever number one, very clear. DriveSafely for Blackberry, DriveSafe.ly, an application to receive SMS, email messages with better sound quality and especially ... on BlackBerry. This version not only inform the content of the audio message but also allows reply messages, email your voice. Lock for BlackBerry Messenger, BlackBerry Messenger for Lock allows you to create password protected to prevent the access of other people in your messaging system, while still allowing use of the Internet, games and applications in electricity normal voice. 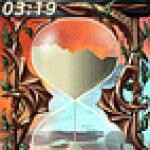 Memory Booster for BlackBerry, Memory Booster is a tool that helps you recover lost memory to make your application run faster. It also helps minimize load times and improved operational performance. 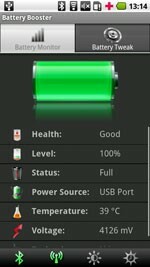 Memory Booster Pro for BlackBerry, Memory Booster Pro is the memory recovery software helps applications run faster and smoother. MultiAlarms for BlackBerry, MultiAlarms application allows you to create an alarm or to remind you to perform the job pending. 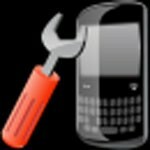 Advanced RAM Optimizer for BlackBerry, Advanced RAM Optimizer software optimizes your device performance by recovering the unused RAM to periodically.